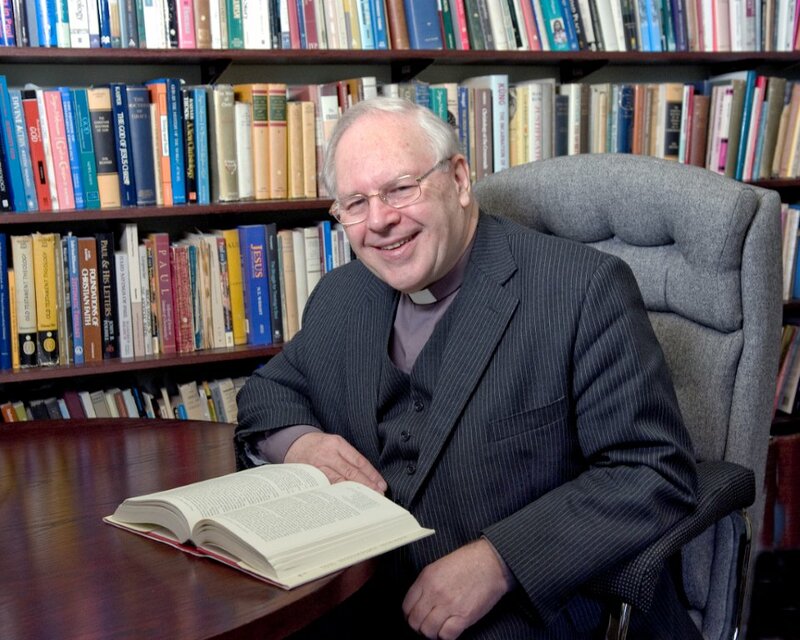 Paul Helm, Rationalising the Spirit? Calvin is not here saying that the activity of the Spirit which is sufficient to establish the authority of the Word of God is unreasonable or irrational or non-rational in character. How could that be when the Spirit is the Spirit of the most wise and all-knowing God? “Scripture is its own evidence” means what it says. The Spirit’s work is not purely subjective persuasion, a groundless feeling of conviction. It is rather that the Spirit testifies to or illumines the cognitive content of the objectively true Scripture. Strictly speaking, such illumination does not need any rational or empirical considerations external to the message of Scripture to add further support to it even though such data may be provided. In Calvin’s employment of both internal and external proofs of this fundamental feature of his theology, we must note the tension between what we may call the “orderly” versus the “disorderly” aspects of Calvin’s thought. Appealing to the external proofs is “orderly”: such “proofs” can be studied, taught and argued about. By the use of them in preaching and teaching the authority of the Scripture can be safeguarded in the churches. By contrast the internal testimony of the Holy Spirit to the Word is “disorderly”, or at least potentially so; it is granted personally, at the behest of the Spirit who is, as Calvin stresses, sovereign in dispensing this gift. Such a gift and its reception cannot be built into the educational and political structures of the church: it cannot be bequeathed by the church’s ministry to the next generation in any way that guarantees success (Helm, Calvin: A Guide for the Perplexed, 33). Self-authentication is a consequence or corollary of Calvin’s emphasis that only God can witness to God and that only if God directly witnesses to himself is that witness thoroughly trustworthy. … How does the Spirit witness? … By powerfully disclosing to us the cognitive and affective content of Scripture, its “message” (original emphasis). Thus, the highest proof of Scripture derives in general from the fact that God in person speaks in it. … We ought to seek our conviction in a higher place than human reasons, judgments, or conjectures, that is, in the secret testimony of the Spirit. … For as God alone is a fit witness of himself in his Word, so also the Word will not find acceptance in men’s hearts before it is sealed by the inward testimony of the Spirit. The same Spirit, therefore, who has spoken through the mouths of the prophets must penetrate into our hearts to persuade us that they faithfully proclaimed what had been divinely commanded. Let this point therefore stand: that those whom the Holy Spirit has inwardly taught truly rest upon Scripture, and that Scripture indeed is self-authenticated; hence, it is not right to subject it to proof and reasoning. And the certainty it deserves with us, it attains by the testimony of the Spirit. For even if it wins reverence for itself by its own majesty, it seriously affects us only when it is sealed upon our hearts through the Spirit. Therefore, illumined by his power, we believe neither by our own nor by anyone else’s judgment that Scripture is from God; but above human judgment we affirm with utter certainty…that it has flowed to us from the very mouth of God by the ministry of men. We seek no proofs, no marks of genuineness upon which our judgment may lean; but we subject our judgment and wit to it as to a thing far beyond any guesswork! … We feel that the undoubted power of his divine majesty lives and breathes there (1.7.5). Unless this certainty, higher and stronger than any human judgment, be present, it will be vain to fortify the authority of Scripture by arguments, to establish it by common agreement of the church or to confirm it with other helps. For unless this foundation is laid, its authority will always remain in doubt. Conversely, once we have embraced it devoutly as its dignity deserves…those arguments—not strong enough before to engraft and fix the certainty of Scripture in our minds—become very useful aids (1.8.1). There are other reasons, neither few nor weak, for which the dignity and majesty of Scripture are not only affirmed in godly hearts, but brilliantly vindicated against the wiles of its disparagers; yet of themselves these are not strong enough to provide a firm faith, until our Heavenly Father, revealing his majesty there, lifts reverence for Scripture beyond the realm of controversy. Therefore Scripture will ultimately suffice for a saving knowledge of God only when its certainty is founded upon the inward persuasion of the Holy Spirit. Indeed, these human testimonies which exist to confirm it will not be vain if, as secondary aids to our feebleness, they follow that chief and highest testimony. But those who wish to prove to unbelievers that Scripture is the Word of God are acting foolishly, for only by faith can this be known (1.8.13). Helm seeks to avoid any subjectivity in the person’s relation to God, and to objectify and rationalise the work of the Spirit. His claim with respect to the nature of the internal witness of the Spirit is at odds with Calvin, and misrepresents his teaching. It is also at odds with the Apostle Paul’s concept of the internal work of the Spirit as an immediate inner witness in the believer’s heart (e.g. Romans 8:12-16 cf. 1 John 2:20, 27). Of course, we should by all means preach and teach the Scriptures, and even the reasons we might give for trusting the Scriptures. Calvin, too, said this. He also taught the illuminating work of the Spirit with respect to doctrine in Institutes I.ix.1, where he asserts that the Spirit has the task of “sealing our minds with that very doctrine which is commended by the gospel.” But to limit the work of the Spirit to this cognitive-illumining work is to go beyond what Calvin said. Rather than marginalise the work of the Spirit in the life of the church and the believer, we should teach it and pray for it, expect it and celebrate it, and truly trust that Scripture is indeed self-authenticated because God reveals his grace and power there, as Calvin taught. But never let us be guilty of having more confidence in our own ability to defend and interpret Scripture than in God’s grace and power to make himself known in and through these sacred writings. I don’t know if Pastor Peter has been following my posts on James or not, but I am very much looking forward to this opportunity to share this chapter with God’s people. Though twenty minutes? That would be a miracle! Add to that, that I have not preached since June last year… Please God, let it not be rubbish! Roof story – looked okay but was not. The roof structure lacked integrity, being flawed, internally compromised. Integrity refers the state of being whole, entire, or undiminished; a sound, unimpaired, or perfect condition. What you see is what you get: it is honest, it is true. James, too, is concerned with that which is true. He is very concerned with true Christianity, genuine religion, authentic spirituality, a faith which has integrity. As I understand matters, the letter of James derives directly from James the Just, James the brother of Jesus, James, leader of the early Jerusalem community of Jesus-followers, James who identifies himself as a servant of God, James the martyr. If he did not directly pen the letter, perhaps his words were collected and edited after his death and formed into the letter we now read. I think, however, that a good case can be made that James did write the letter, and did so to members of his community who had been scattered by the persecution that arose after Stephen’s martyrdom, suffering poverty and alienation as refugees in an unfamiliar environment, especially perhaps, at the hands of other Jews who will not accept these followers of a ‘false messiah.’ If this is true, then we have in this letter a link to earliest Jewish Christianity, as well as a very early understanding and adaptation of the teaching of Jesus, which suffuses this letter from start to finish. James, then, was writing as a faithful pastor to a scattered, poor and distressed Jewish-Christian community. We can see something of his concern for true religion and authentic spirituality in 1:25-27. But those who look into the perfect law, the law of liberty, and persevere, being not hearers who forget but doers who act—they will be blessed in their doing. If any think they are religious, and do not bridle their tongues but deceive their hearts, their religion is worthless. Religion that is pure and undefiled before God, the Father, is this: to care for orphans and widows in their distress, and to keep oneself unstained by the world. What, essentially, is James about? He is concerned about real religion, genuine faith and authentic spirituality. That is, he is concerned about the kind of faith that is expressed in doing, in action, and not simply in customary religious practices. For James, religious devotion which does not issue in practical holiness is worthless. Love of God which does not issue in love of neighbour is worthless. Religious faith which does not trust in God or persevere under trial is worthless. Real religion does has devotional and doctrinal dimensions, undoubtedly. But it is also communal and ethical. James begins this climactic section of his chapter with a reference to “the perfect law of liberty.” In verse 18 James has told his listeners that they have been “born again,” “brought forth” by the Father of lights, the good and generous and gracious God, giver of good and perfect gifts. The word James uses is astounding, a word used only of pregnant women. No doubt God’s gift of birth stands in contrast to that birth seen in verse 15. Sin “gives birth” to death, but God gives us life. God’s people are brought forth as the first fruits of a new creation by the Word of truth. This phrase is used in Ephesians and Colossians as an expression to mean the gospel. Through the gospel we have heard the story of Jesus, of his life and death and resurrection; we have believed, and believing, we have been “born anew.” Born into a new life so much so that the old has passed and the new has come. Therefore James continues in verse 21, “Receive with meekness the implanted Word, which is able to save your souls.” Not only do Christians commence with the Word of God, they continue by it. “One shall not live by bread alone, but by every Word which proceeds from the mouth of God.” According to Jesus, believers are to live by the Word of God. Not only are we to hear and receive the Word, but we are to become doers of the Word of God (v. 22), allowing God’s Word to speak to us, counsel us and guide us, direct us and shape us, and orient our lives toward the presence, the purpose and promises of God. The “forgetful hearer” simply “goes his way,” the word having no enduring impact or effect on his daily life. And so we come again to verse 25: “But the one who looks into the perfect law of liberty, and perseveres, being no hearer who forgets but a doer who acts (or, a doer of the work), he shall be blessed in his doing.” James, in this verse, shifts his language from Word to “law,” and from being “doers of the Word” to “doers of the work.” What do these shifts mean? Quite simply, James emphasises the call and the demand of the gospel. In chapter two he will bring this out with great clarity: “faith without works is dead.” The gospel is not simply the promise of salvation in and through Jesus, but also the call to follow him. Many commentators believe that James considers that Jesus’ teaching constituted the law made new, that the “law” here refers to Jesus’ ethical teaching. 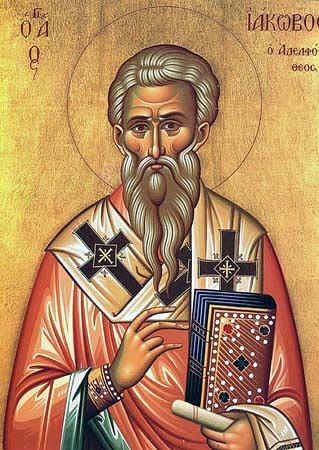 It is clear that for James, real religion, authentic spirituality, is a matter of obedience to the Word of truth, the gospel, the teaching of Jesus, the Word of God, and that such obedience is crowned with blessing, both now “in the doing,” and with a crown of life in the age to come (v. 12). Notice too, that James speaks of persevering in the Word. This kind of steadfastness and endurance is also commended in verses 3-4 and 12, where the steadfast person is declared blessed. James knows that life is tough, especially for his readers. Even so, he counsels them to find their joy in God, to stand firm under trial, to seek God in faith-filled prayer, remain steadfast in the face of temptation, refuse to blame God for their troubles, and most of all, become a fully Christian community, the firstfruits of the new creation, devoted to God’s Word. That in front of perseverance is hope, and underneath it is love for God. We stand fast, stand firm and stand together because we love God and trust in God’s promise. James is convinced that God is trustworthy, good, gracious and generous, single-minded in his goodness. It is on account of God’s goodness that we can have faith. Finally, James identifies three characteristics of “real religion” —the kind which goes beyond the performance of a few religious practices that do not have any enduring impact on our daily existence. These three characteristics are his major concerns and will be picked up in the rest of the letter. James does not have an abstract interest in the tongue: one scholar has noted that there are 29 imperatives in this letter directly addressing speech ethics. This is a primary concern of James,’ and will occupy the main part of chapter 3, as well as re-appearing in chapters 4 and 5. But again, James’ interest is not abstract; he is concerned about the use of the tongue because of power to destroy the community of God’s people. Verses 19-20 are not just the kind of homely advice one finds in Readers Digest! They are directed against those in the community who are at war with one another, expressing anger and malice toward one another, quarrelling and fighting with one another, and as Paul says, biting and devouring one another. Sins of the mouth tear down the people of God. Failure to bridle the tongue, to speak wisely and with respect and care undermines genuine spirituality. He will deal with this issue at length in chapter 2, and it, too, will re-appear in his final chapter. Finally James zeroes in on our own moral purity and personal holiness. He calls his listeners to keep themselves “unstained from the world.” James is not a dualist; he believes that this is God’s world. God the “Father of Lights” in verse 17, is the universal creator and father. Nevertheless, the “world” is here seen in its fallenness, in its organisation against the will, the ways and the wisdom of God. In verses 13-18 James warns his listeners against the perils of temptation and sin: sin is a hunter out to capture its prey; sin is conceived and grows up and brings forth death. “Be not deceived,” says James, but rather, “put away all filthiness and rampant wickedness.” It is clear that James envisaged a decisive turning away from sin, sinful patterns of life, and concrete sinful practices. What kind of sins? Some commentators suggest he is focusing on sexual sins in vv. 14-15, but this is probably to over-interpret the verses. No doubt he would include these too. But his emphasis in the letter focuses on interpersonal sins, especially those of the tongue, selfish ambition in the community, and those which oppress or fail to give due heed to the poor. There is a real engagement in the world and yet at the same time a genuine separation from its values, commitments and practices. So true religion is a life in Christian community, compassion for the vulnerable, and personal holiness, all arising from a persistent practice of the Word of God, and grounded in faith in God and love for God. Have you accepted the gospel of Jesus Christ? Are you a “doer who acts,” a “doer of the work,” one who perseveres in the “perfect law of liberty”? Could you use James’ three categories of real religion to do a quick check-up on the state of your own spirituality? Is it authentic? Is it the kind of religion that is pure and undefiled before God? Does one of the categories require your serious attention? What can you do about that this week? 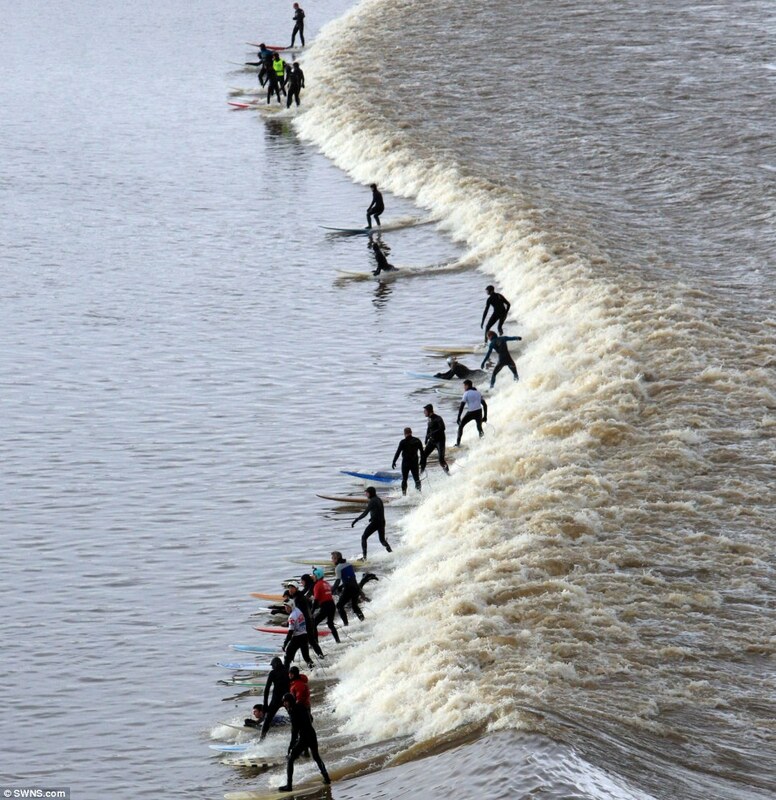 Great photos this week of the Severn Bore in Gloucestershire. I had never heard of it before last year when I read Julian Barnes’ The Sense of an Ending (see my review here). 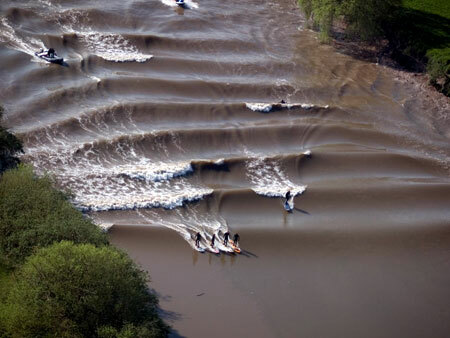 He recalls surfers riding a wave up the river at a number of points in his narrative, but I had difficulty envisaging what he meant. Thanks to last week’s “super tide” occasioned, I think, by the spring equinox (is my science correct?? ), the bore was in full flower. A book I have had for a while now and only dipped into from time to time is Anthony Thiselton’s The Hermeneutics of Doctrine. Those few chapters I have read have been so good, I keep saying to myself, “I must read that book through, one day.” But I haven’t because I know it will require an investment of many, many hours. It struck me that Thiselton has laboured all his life beset with difficulty and disability, and, in the grace of God, has given a great gift to the church. Fortunately, Thiselton survived the stroke and has continued to work, in hermeneutics, biblical studies and theology. 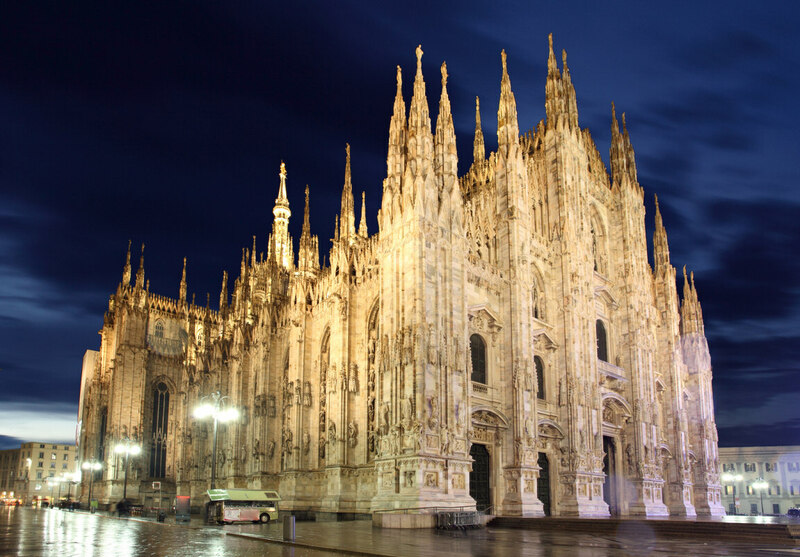 Karl Rahner speaks of the stagnation of our textbooks, and observes that people offer to doctrine a reverential bow without it making much difference to their lives. Doctrine is not very vividly alive. It tends to become esoteric, with little engagement with the Christian life. Yet, Rahner concludes, it ought to be an art or science of understanding and especially of listening, embodying truth, and actualising love [reproducing Rahner’s emphasis]. Christian doctrine is not simply a matter of individual belief but also of communal understanding, transmitted traditions, wisdom, commitment, and action (xvii). 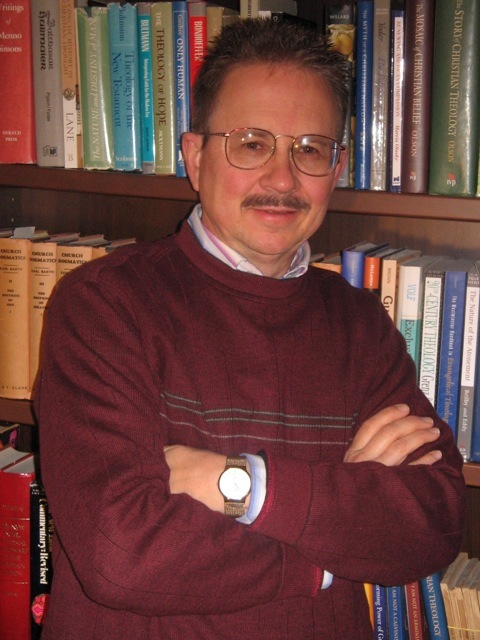 Richard Heyduck provides incontrovertible evidence concerning the marginalization and neglect of doctrine, with careful documentation. He diagnoses the primary cause of this marginalization as the emergence of individualism and an individual-centred epistemology … I endorse Heyduck’s diagnosis of the mistaken reduction of corporate doctrine to individual-centered belief (xix). Having admonished his hearers, James now reinforces his teaching with an illustration which shows how those who only hear the word without doing it are self-deceived. The first phrase repeats the language of verse 22 in the form of a conditional statement: “For if any are hearers of the word and not doers” (hoti ei tis akroatēs logou estin kai ou poiētēs). Hoti often translates as “because” but may also be used in a weaker sense as “for” as most English versions have it. Vlachos (59) prefers to tie logou to poiētēs so that the phrase reads, “if anyone is a hearer and not a doer of the word.” This translation is an even stronger echo of verse 22, though the essential meaning of the phrase is unchanged. James then provides a simile to show what this person who only hears the word is like (cf. 1:6 where James also uses a simile to portray the one who doubts). “They are like those who look at themselves in a mirror” (houtos eoiken andri katanoounti to prosōpon tēs geneseōs autou en esoptrō). Houtos eoiken (“this one is like”) refers back to the “any” of the first phrase. Although andri usually refers to a man or a husband, James tends to use the word the way other New Testament books use anthrōpos, that is, to refer to human persons in a generic rather than a gendered sense (Vlachos, 29; cf. Brown, NIDNNT 3:686-687). The unusual phrase in this clause is to prosōpon tēs geneseōs autou (literally, “the face of his birth”). The NRSV and NIV ignore the phrase altogether and translate as “they look at themselves.” The ESV and NASB translate “his natural face.” Some commentators, however, see a deeper meaning in the phrase, linking it not simply to their “natural face,” but to their “genesis” in God, the “origin” of their existence in his image. 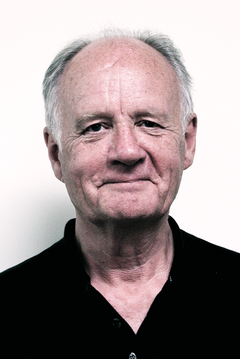 Scot McKnight, for example, suggests that the phrase could take an ontological sense in which it means that the person looks into the mirror and sees the image of God they were created to be, or in a moral sense in which the person sees in the mirror a fallen and sinful person who does not attain to what they were created to be (150-152; cf. Davids, 98; Moo, 84-85). Vlachos notes that verse 24 replaces the phrase with the simple reflexive “themselves,” and so suggests that the phrase is best understood in the sense of their “natural face,” although he also thinks that Genesis 1:26-27 lies in the background (59-60). In any case, these hearers “look at themselves” in the mirror (katenoēsen gar heauton). The “look” is not a simple or superficial glance, for the words used in verses 23 and 24 (both derived from katanoeō) mean to consider, contemplate, gaze or stare. Nevertheless, even though they carefully examine their appearance in the mirror as they comb their hair or apply their make-up, “on going away” (kai apelēluthen), they “immediately forget what they were like” (kai eutheōs epelatheto hopoios ēn). Hopoios is literally, “what kind or sort of,” and so suggests that the person who only hears the word and does not do it forgets what sort of person they are. That is, the study of their own appearance in the mirror is only temporary, having no lasting effect in the actual activity of the person as they go about their business for the day. As Davids notes, “it is useless” (98). The point James makes is that the temporary nature of one’s study of oneself in the mirror lacks any real or lasting effect. True community manifested by sharing lives and property is another mark of corporate Christian authenticity. By “sharing property” I don’t mean communalism or collectivism but the practice of taking care of each other, hospitality, holding loosely to “personal property” so as to meet the genuine needs of others in the church. What do you make of his list? Of all disciplines theology is the fairest, the one that moves the head and heart most fully, the one that comes closest to human reality, the one that gives the clearest perspective on the truth which every disciple seeks. It is a landscape like those of Umbria and Tuscany with views which are distant and yet clear, a work of art which is as well planned and as bizarre as the cathedrals of Cologne or Milan … But of all disciplines theology is also the most difficult and the most dangerous, the one in which a man is most likely to end in despair, or – and this is almost worse – in arrogance. Theology can float off into thin air or turn to stone, and worst of all it can become a caricature of itself. Karl Barth, cited in Busch, Karl Barth, 244.
consists of two parts: the knowledge of God and of ourselves. 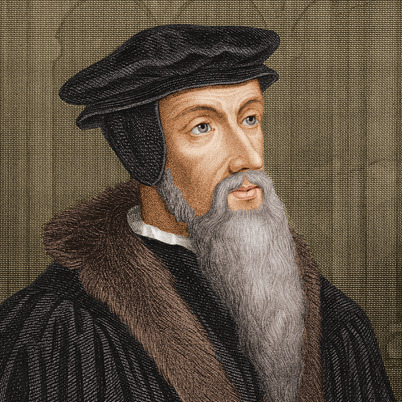 So begins Calvin’s monumental Institutes of the Christian Religion. In tonight’s class we have our first seminar based on the opening chapters of Book 1. By the end of the semester we will have worked our way through Book 1 and into the first chapter or two of Book 2 (except for the chapter on the Trinity: we will keep that for next semester so the students have something to look forward to!). I wonder how this cohort of students will respond to the great Swiss Reformer? In the past, I have had some students appreciate him, some despise him, some find him difficult to read and comprehend, and some argue that they should not have even to read him. I have encouraged to class to engage him rigorously, carefully and with due respect. 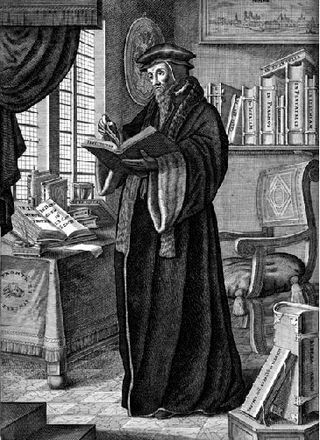 I consider the Institutes to be the most important Protestant theology yet penned, because it gathered and systematised the thought of the early Reformation in its most complete and exalted form, and set a pattern for theological reflection and exposition that continues until this day. That does not mean, of course, that we must adhere to all of his positions. We are free to question his proposals, dispute with him, even reject him if we believe we have sufficient grounds. The problem too often, however, is that we think we can dismiss Calvin before we have read him, listened to him, heard him, understood him. In such cases our rejection says much more about us than it does about him and his work. Back to Calvin’s opening words: what does he mean? I think I am still learning the depths of this seemingly simple statement. For Calvin, we live and move and have our being in God (cf. Acts 17:28). Every moment of our existence is lived in the immediate presence and under the immediate rule of this divine sovereign. If this is the case, then “true and sound wisdom” is learning to acknowledge and accept this as the reality of our existence and to live in its light. That is, we are learning to be God’s creatures, and so to acknowledge God as Creator, Ruler, Sustainer and God. We are learning to take our place under his reign, and so find ourselves lifted up and freed. This knowledge becomes the “law of our creation.” In knowing God we come to know ourselves, our place in the cosmos, the fundamental principle of our life, the goal and telos of our existence. So thus, we might begin to gain wisdom. The great tragedy, of course, is that this is precisely what we refuse to do. Besides, if all men are born and live to the end that they may know God, and yet if knowledge of God is unstable and fleeting unless it progresses to this degree, it is clear that all those who do not direct every thought and action of their lives to this goal degenerate from the law of their creation (I.iii.3). Finally, it is also worth noting that Calvin’s goal is wisdom – sapientia – rather than abstract knowledge. He is not interested in a philosophical or speculative knowledge that seeks to understand all mysteries but does not issue in a life of love and reverence towards God. 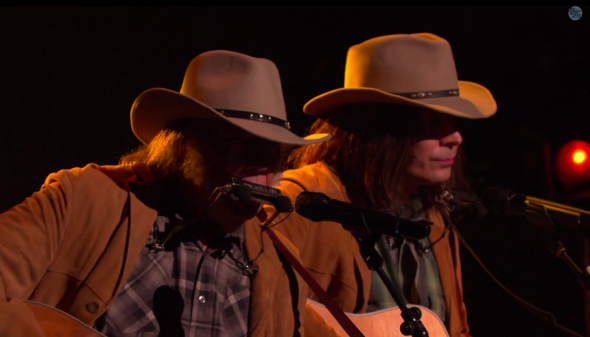 Jimmy Fallon gave a credible performance of “Old Man” as and with Neil Young. Yesterday and today I was in the car for between seven and eight hours, driving down to Cranbrook and back. I was there to participate with the pastors and leaders of our churches in the Great Southern and had a really nice time with them. Our topic was “Spiritual Formation as the Task of the Church.” Perhaps I will blog about it sometime. These pastors and leaders are doing a wonderful and important job in their small town churches. 1. The Essential Simon & Garfunkel – Probably not the best for long distance driving, but some great classics here, as well as some very mellow folk-poetry. Favourite track: I am a Rock. 2. George Harrison, Let it Roll – a posthumous collection of his post-Beatles work, except for three live renditions of While My Guitar Gently Weeps, Here Comes the Sun, and my favourite track, Something. Shame it didn’t have a few of his Wilbury contributions. 3. Les Miserables, The Original London Cast – It still grabs me everytime. This most powerful of musicals is an artistic rendition of divine grace embodied. I think that is what Hugo intended, and the songwriters have done his literary masterpiece justice with this musical-dramatic masterpiece. Favourite track: sorry, can’t choose just one; I Dreamed a Dream and Bring Him Home for pathos and beauty, and One Day More for dramatic and creative mastery. 4. Bob Dylan, Tempest – From the beautiful voices of the London cast to Dylan, who can’t sing to save his life, and never could. Now, after five decades of abusing his screech, it’s worse than ever, but I still love his work. This 2012 album continued his late-career renaissance, and includes his 14-minute tribute to the loss of the Titanic, and a poignant tribute to John Lennon. Favourite track: Tempest, with Duquesne Whistle a close second. 6. And as I made it back to the city – Creedence Clearwater Revival, 25th Anniversary Collection – only got to about track 10 before I made it home, but more blues-rock, this time more upbeat. Favourite track: Someday Never Comes. Next time I have a long drive on my own, I am thinking I might pull out Rolling Stone’s Top Ten Albums of all time. Or maybe better, my own Top Ten… I wonder what would be on that list? Beggars Banquet, IV (Led Zepellin), Beatles for Sale (Rubber Soul? Hard call, this one; just about everyone says Sgt Pepper is the greatest album of all time; … nah), Highway 61 Revisited (or Blood on the Tracks? ), Goodbye Yellow Brick Road, Hotel California, Tapestry, Songs in the Key of Life?